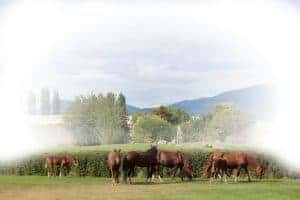 The activity of a breeding program must be a highly scientific endeavour, supported by a lengthy study of the breed, the bloodlines and the activities of long term successful breeders. This bank of scientific knowledge is then sprinkled with the tastes, the likes and dislikes of the individual breeder. I have personally engaged in this activity in the Peruvian Paso horse breed for 20 years. Along the way, I have I acquired a passion for this breed that runs deep, with a strong desire to produce only the best of the best. Along the way, I have come to a clear vision of what it is that I want my horses to represent and demonstrate. In any breed, you will find the traditionalists, those who want to do things the very same way they have always been done. Then you have the modernists, who want to change the basics and move off the breed standard to achieve their particular vision of what their horses should be like. I am a modified traditionalist. I desire to build on the historic strength of the Peruvian Paso, with an eye to eliminate the less desirable traits that have crept into the breed in the last 50 years, since the horse became more of a “Show Piece” than a working animal. The historic claim to fame of the Peruvian Paso is, of course its indisputable, innate, exquisitely executed 4 beat lateral gait that transfers minimal movement to the rider in the saddle. The less desirable trait is the recent lack of longevity and strength in certain animals or bloodlines. This question is, of course debated at length and some will argue that it is not a genetic shortfall, but rather the product of the environment or nutrition or the way of handling and training of the young animals. I personally believe a portion of the problem can be attributed to all three of these variants. So how do you define, with clarity of vision and actionable purpose, a set of breeding principles that are most likely to succeed? Here are the conclusions that my studies have led me to implement. I have decided to build my breeding program on the triple pillar principle; the 3 legged stool, so to speak. Why 3 pillars? Because no foundation, particularly in the breeding of animals is ever perfectly formed and flat. It you build something on a less than perfect foundation with 3 pillars, you have a much greater chance of building something firm and stable, than putting 4 or more legs underneath it. Sitting on a 3 legged stool always feels more secure and stable, especially on a less than perfect footing than on 4 or more. Each of the 3 legs equally supports the weight. What are these 3 principles, and what is their order of importance? The moment I state them, there will be those who will argue their importance and their order; but this is a healthy exercise and I encourage it. If it leads to thought provoking discussions and helps breeders to define their own purpose and vision, it is a worthy exercise. I believe in these principles and I am seeing the positive results after 2 decades of following them, but ultimately, time will validate or discredit them. Each of these 3 require closer examination and definition. Under this major sub topic, I have chosen at least 6 sub point. Safety:It is of critical importance to me that the animals I breed are well behaved towards other horse they share a pasture or pen with. I want to make sure that the type of horses I breed are safe for my staff and my family to work with and to ride. Above all else, safety for Pasture mates, and those humans who interact with them is paramount. Energy. A high energy horse is of course a time honored trait in our breed, and it is important to maintain and enhance that. High energy is very different than a high strung horse. A high strung horse is nervous and jittery. A high energy horse is contained , calm, but willing to demonstrate a high level of energy and presence when it is asked for. Obedience: I want a horse that quickly learns to follow instructions and yields to the handlers ques and instructions when applied consistently and repeatedly. Predictability: This is most important, because riding a horse, or working with a horse that is unpredictable makes it unsafe and unenjoyable. I want a horse that communicates it’s mood to handler and rider so that he/she need not be constantly worried about the horse’s next move. Typiness: Finally, under Brio, I want a horse that demonstrates characteristics and an attitude typical of its gender. I want a macho presentation in a stallion, a feminine presence in a mare, and a working horse look and attitude in a gelding. Strength: This is probably the most controversial topic to discuss, not only in the Peruvian paso, but many other breeds. Many in depth studies have been published and explored under this heading, and my purpose here is to simply point to certain characteristics I find important in defining the strength of the Peruvian Paso Horse. Rideability to an age 16 as a minimum is important, when considering the time , effort and finances invested in any breeding program. The recent Longevity Study done by Verne Albright on our breed certainly demonstrates that as a possibility, if not the norm. It is also very important to the one or 2 horse owner who invest a considerable sum of money in their hobby and their pursuit of pleasure when purchasing a horse. The Peruvian Paso, it is known, generally does not have the life span of some other breeds, who frequently live to an age of 30 or 35, but a life span of 20, with the ability to carry a rider to age 16, I think is a reasonable goal to strive for and achieve. Showability to age 14: We have all seen examples of spectacular horses, who, for reason known to most of us, never show themselves in a competitive environment after the age of 7 or 8. I believe it important that our Peruvian paso should have the strength to compete for a period of at least 10 years under saddle, from the age of 4 to 14, as a minimum. Endurance: During its useful years, I have established, as a goal that a Peruvian paso, again as a minimum, should have the ability to carry a rider in the form of a pleasure ride, in an easy, uncollected gait for a at least 4 hours, on a daily basis. This, as is the case in any athlete, will require proper time spent in the build up and training, as you would not expect this the first time out of the pasture after an inactive winter in the fields. Clean legs: The legs of the horse should remain clean and absent from constant puffiness and swelling of the joints, pasterns and knees, as these are signs of failing strength. Defined tendons: A clean definition of tendons, particularly on the lower limbs that take the most stress under a load are important and a sign of healthy strength and endurance, and should be continually observed as an important sign of strength and longevity. Conformation: All of these strength characteristics mentioned here will only become a reality if the mechanical construction of the body of the horse is correct and true to the breed standard. Included in correct conformation should be size (14 to 15HH), depth of Girth (½ of its overall Height), Low Tail set ( low, for ease of impulsion) Proper angles, especially in the hind legs, shoulder slope and position of the neck (where it attaches to the body), compactness of the back, straight front legs and feet. Gait: Every Peruvian Breeder and owner will agree with me that the gait is the single most important and defining characteristic of the Peruvian paso breed. Many will disagree with me, placing this important trait in the third position of my 3 founding principles , or pillars in my breeding program, but please let me explain. I have seen too many people in the last 20 years of study, who have either bred or purchased a champion of champion horse, or a best gaited horse of show, only to find that the horse is a danger to people and rider , or that the horse broke down and became useless as a riding horse at a very early age, at times before reaching the age of ten. What good, I ask, is the most exquisitely gaited horse, when it is not able to transfer the joy of that experience to its new owner, rider, or offspring for any length of time? However, the finely executed, smooth, 4 beat lateral gait is the defining characteristic of our breed, and what does it look like? Under this important and final pillar, I want to briefly look at 5 sub points that define the essence of the gait. Advance: In the Peruvian Paso we want to see an easy advance and ground covering movement. We are looking for a horse with long strides, covering more distance with fewer steps , thus conserving energy. Impulsion: The forward motion must come as a result of the horse pushing off its hind quarters, as opposed to pulling from the front legs. This translates into smoother movement, and greater ground covering strides. Overreach can be achieve by a horse pulling itself from the front legs, but should be the result of powerfully engaged strong hind legs, resulting in a stride that consistently , including in the flat walk, places its hind hoofprint at the very minimum, one hoof print in front of the hoof print left by its front foot. Timing: Timing is of critical importance in the execution of the Peruvian Paso Gait. The movement should be lateral, with the footfall sound distinctly broken into 4 beats. Four even beats (that of the sound of 4/4 timing in music) are quite acceptable, as this is the true sound of the paso llano, the slow even gait. The preferable gait, the rare gateado gait, however has a sound that is not even, but rather the sound of 2/4 timing, where the gait sounds like a broken two beat pace, a sound made when the movement is lateral (pace) but the footfall is broken where the hind foot strikes the ground well before the front foot. But measured in milliseconds, the length of time between the footfall of the hind and the front foot on the same lateral side is slightly less than the time between striking the ground with the front foot, and the hind foot of the opposite side. Termino: Termino, the flailing outward motion of the forelegs, sort of like the arm motion of a swimmer is most prevalent in the Peruvian Paso horse, but to a lesser degree also visible in some other Spanish breeds. This movement often comes with lift and animation and is highly valued by some breeders, and some emphasize it in their breeding program.  This animated action, however can cause up and down movement of the rider in the saddle, and contributes to a lack of smoothness. I personally prefer the low, long, outward rolling action of the front legs, similar to a cat sneaking up to its prey to the animated high lift and outward motion of flattering tremino. Brio, Strength, Gait; how do you lock these important characteristics into your breeding program? Here, I want to briefly touch on 4 critical tasks you must engage in to enhance (not guarantee) your chance of success. First of all, find a mentor and align yourself with a successful breeder who has demonstrated his or her ability to consistently produce horses with these traits. I personally surrounded myself with trainers, mentors, breeders of the highest esteem for 15 years before I attempted breeding decisions on my own. Secondly, study the bloodlines you are planning to breed back 5 or six generations to determine if these things are consistently present in those lines. Third, look at the mare and the sire you are planning to cross and evaluate them carefully for these 3 pillars of strength. Finally, but most importantly, if possible look at the prior offspring of the mare and the Stallion you are planning to use and evaluate, with the help of your mentor and other knowledgeable breeders if the traits you are looking for are demonstrated through these offspring. In conclusion, until you have done these things, avoid, at all costs, the pitfall, the mistake of so many, by breeding all your mares to the 4 or five year old current champion of champion stallion, only to find yourself disappointed and discouraged 5 years later, with a herd of horses that do not define your principles, your ideal of desired herd.